Free Envelopes & Shipping On All Orders! Just the best that you deserve! Your Inspiration. Our Designers. 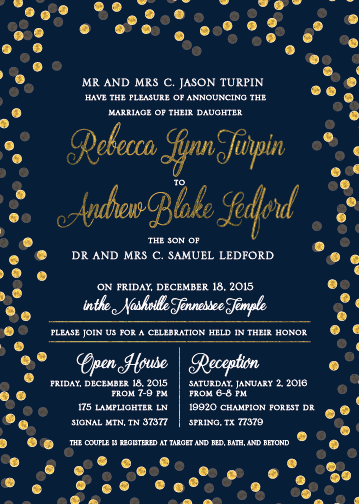 Custom Invitations. 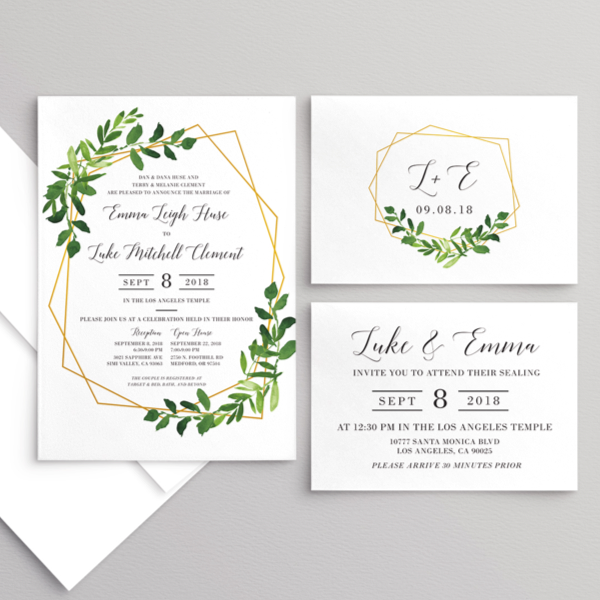 Easily customize your fonts, colors, and graphics to create your perfect wedding invitation suite. We print on 130lb premium card stock because we believe low prices shouldn’t compromise quality. Professional Designer. Free Digital Proofs, Shipping & Envelopes. We believe pricing should be transparent and cover everything that you need so you don’t have to worry about the little things. If you are looking for unique and awesome wedding announcements, then you are in the right place! Utah Announcements was the perfect fit for my budget and my ideal invitations… They took stress off of planning my wedding and what bride doesn’t love that? Thank you Utah Announcements!! When I asked my friend who made her beautiful invitations, she directed me to Utah Announcements. I liked what I saw and the prices were decent so I went for it. I couldn’t be happier. The service was prompt, and the art well done. I was highly impressed by their service and willingness to modify the design to fit my wedding and personality. 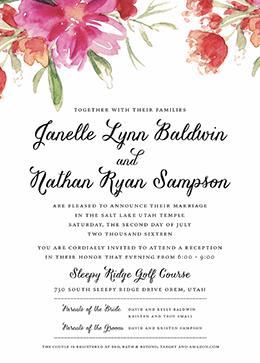 I would recommend Utah Announcements to anyone who needs wedding announcements. The process is so easy! I just sent them a design with what I liked… my designer was always so fast to respond to my emails, and my announcements turned out exactly how I wanted! 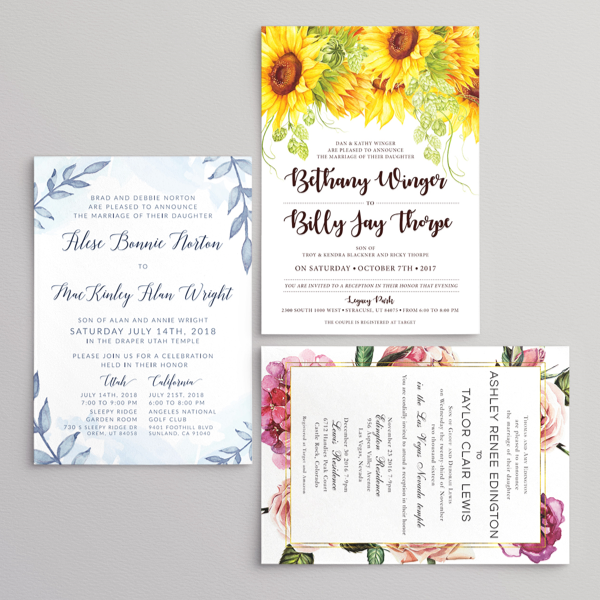 At Utah Announcements, we specialize in custom Utah wedding invitations and announcements and will help you get exactly what you want! 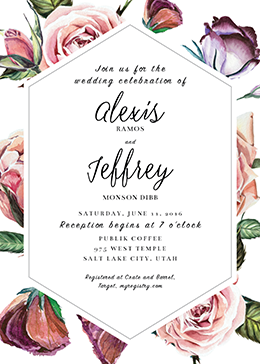 All of our designs at Utah Announcements are custom designed to match your colors, style, and theme. 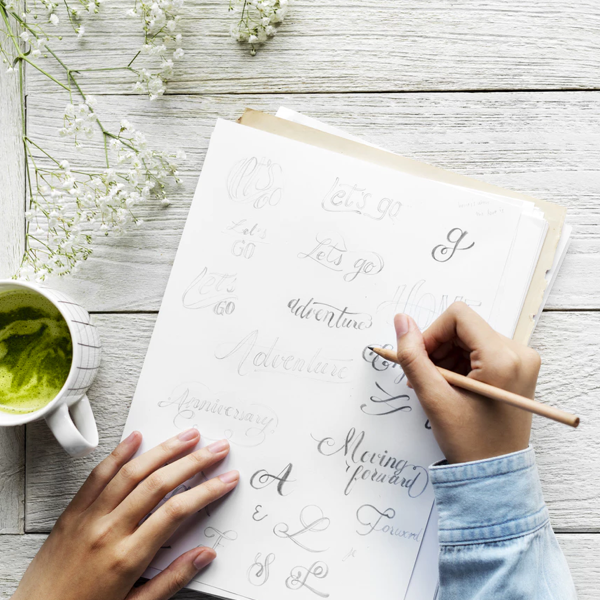 In our order form, you can include pictures or links to designs you like online, or anything else you feel will help our qualified designers create your beautiful wedding announcements. Once you submit the order form, we will contact you with a few initial designs or for more information about your design, if needed. 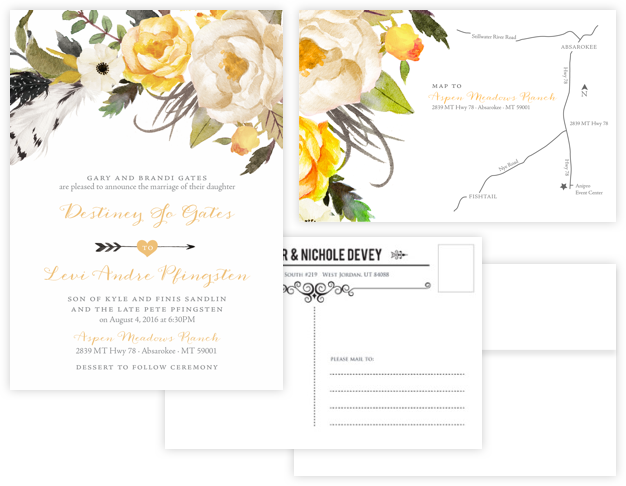 From there on you will work with one of our talented designers to create the perfect invitation for your wedding or event. We will work with you until you are satisfied, within a reasonable number of changes. Next, we will finalize the order and proceed to payment and delivery. 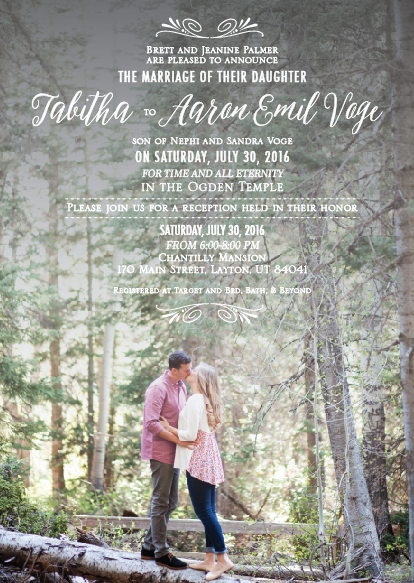 We promise you will love your beautiful wedding announcements! The invitation is the first thing your guests will see from your wedding so it is important to make a lasting impression. All our wedding invitation orders include free white A7 envelopes. Add return and guest addresses to save time. Tell your guests Thank You with a personal touch with personalized custom thank you post cards for your wedding.